Here is the quick list of the top three dating sites in the Czech Republic. I’ll go into more detail in my reviews later in this article. Online dating is quite popular in the Czech Republic. I would put it up there with Ukraine and Russia in terms of your probability of finding success. Your best bet will be to sign up for the best online dating sites in the Czech Republic and create a stunning profile complete with lots of photos showing you in different settings. If you are considering doing online dating in the Czech Republic, I highly suggest you try to stick close to a city like Prague, one of the most romantic cities in the world. This city has tons of singles looking for love. Don’t get me wrong…the people of the Czech Republic still tend to meet their romantic partners via the traditional methods of mutual friends, organizations, work, or school, etc. However, online dating has grown in such size in the country that its effectiveness as a tool for finding a partner has become too hard to ignore. Czech women are some of the most beautiful women in Eastern Europe. The beauty here is not the type of black/white/native mixture that I love in countries like Brazil, but rather beauty of the blonde-haired blue-eyed variety. Rest assured, when you come to Prague, you will not be disappointed and will quickly see what I am talking about. Should you decide to sign up for the online dating sites I recommend below, be sure to read member profiles carefully as you might come across a lot of fake profiles. Usually, I can spot these profiles easily. A woman who has only one picture posted, is wearing a tight bikini and making an overly suggestive pose are usually clear signals to steer clear. Without further ado, here are my detailed reviews of the top three dating sites in the Czech Republic. 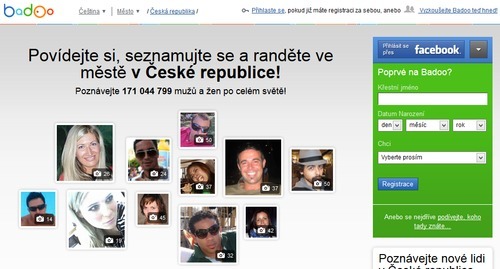 Seznamka.cz is the best and largest online dating site in the Czech Republic. Launched in 1998, it is also one of the oldest, having been around since the dawn of the internet dating era. Seznamka’s website is better than others I’ve seen, but still pretty dated looking, with a fair amount of ads to boot. As an online dating service, Seznamka focuses more on personal ads than profiles, and as a result, the profiles available are quite shallow. Personally, I’m not a fan of this style of dating site, but it obviously works, as Seznamka has hundreds of thousands of users at this point. Bottom-line, if you’re in the Czech Republic, and interested in Czech singles, this is a worthy site to explore. Next, write a short blurb in a text box, describing what you’re looking for. You can attach some photos, and write a short version of the ad to be sent to users as an SMS. Finally, enter the email where you want to receive replies and select if you want your ad to be posted anonymously. Once your ad is approved by an administrator, it will be live. Once you’ve created an ad, you can fill in your profile with photos, a nickname, and some very basic information about your interests. Seznamka’s search features are much the same as on other dating sites. You can browse ads by category or perform a basic search, filtering by category, location, gender, age-range and photos. Communication between members consists mostly of replying to ads and posting ads of your own. Replying to ads is the equivalent of sending an email, with attached photos as an option. You can also send a message directly to profiles, though sadly there is no voice or video messaging available, or even IM chat. Seznamka has a mobile app that lets you take the online dating experience with you on the go. I’ve never used this app, and the user reviews are pretty, so proceed with caution. Seznamka also hosts live events through its partner site RychlyRande (speed dating in Czech). Head here to sign up for what seems to be exclusively speed dating nights. The FAQ promises that each event is 1-2 hours, with a minimum of 10 men and 10 women. Attendees are not guaranteed to be single! Stesti.cz (“luck” in Czech) is the second best online dating site in the Czech Republic. The site is a Craigslist-style dating website for people looking to meet singles from the Czech Republic. My first impression of the website was not a great one, as the design is starkly, and uninviting. It has the look and feel of a classified ad website, hence the Craigslist comparison. Much like a classifieds section of a newspaper or magazine, profiles place “advertisements” on a public board. The system feels a bit strange at first, but it obviously works, as there are around 95,000 members on the site, roughly 60% men and 40% women. Signup requires a small fee, which is probably enough to deter a lot of sketchy profiles. If you are a serious dater, looking for Czech singles, then this may be the site for you. Creating a profile is straightforward, requiring you to fill out a “text advertisement” (basically a short About Me section, who you are and who/what you’re looking for), and a username/password, email, gender, sexual-orientation, relationship wishes, location, birthday and height. After this, you need to do an email verification, as well as a payment of either an online payment or an SMS payment. Passing these hurdles will net you a yearlong membership, as well as a free 30-day trial of the VIP membership. Men & Women: These are two separate tabs for you to browse the men and women on the site. You can filter by basic information, and you can choose to see only those profiles with photos and/or those currently online. Advertisements: A public board where members post their profiles and what they’re looking for. People: This section includes new members, nearby members, those currently online, the top 100 men and women on the site, and the top IQ’s on the site. Your communication options are limited. If you find a profile you like while browsing, you can send them a message, which is text-only. Your other main option is to post to the public “blackboard.” This can be in the form of a message, general greeting, or a personal profile advertisement. Your message will stay public until someone else “overwrites” you. Some examples I’ve come across are: “I’d go for a walk. Will you come with me?”, “I’m looking for a girl with the key to heaven and hell!”, and “I wish good health in areas where the body meets with chair”. As you can see, these posts vary wildly in content! These posts will show at the top of every page on the site, changing every few seconds. Stesti’s Advertisements/Blackboard feature is truly unique to the dating sites I’ve seen so far. It’s well-designed in that only 200 posts are live at any given time (100 for women, 100 for men), so they’re always fresh. Other unique features include an on-site IQ test, and a link to download a computer program that will notify you of new messages coming in. This sounds like a useful feature, and it is, but downloading a separate program to do this is seriously outdated. 3. Badoo.com: A massive worldwide online dating site launched in 2006, Badoo is an OK option for the Czech Republic. It doesn’t have the same quality as the sites mentioned above, which is why I would not focus on it as a starting point for your search. Badoo works on the “freemium” model, which means that it is free to sign up, but you have to pay for upgraded features. The site operates in over 180 countries, and is popular in Europe and Latin America. Honorable mention goes to Plenty of Fish. I’ve heard of a lot of people who have had success with this site in the Czech Republic, but I just can’t get past the fact that the profiles on there are of terrible quality. You really have to weed through a lot of junk in order to find any profiles that are worthwhile. A lot of what I learned while dating online was through trial and error, planting a lot of seeds in order to get success…learning what works and doesn’t work and refining my approach along the way. 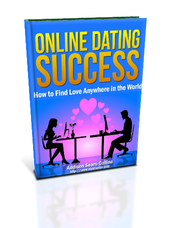 You might have your own online dating strategy, and that is cool, but if you don’t and need a starting point, go and buy my e-book, Online Dating Success: How to Find Love Anywhere in the World. In the book I go into detail about how to set up a profile, what I recommend writing for your initial and follow up messages, when to ask the woman/man you’re interested in to go offline for a date, and more. Worldwide Online Dating Site Reviews: Be sure to check out my country-by-country reviews of the best online dating sites in the world. Worldwide Jobs Guide: If you are interested in working in this country, be sure to check out my posts on how to find jobs in this country and other countries around the world.